Center City skyscrapers as seen from the 33rd floor of the Loews Hotel on Market Street. Raising your kids in the city of Philadelphia? It's not exactly the most family-friendly place, according to one recent study. Apartment List, a website that helps users find housing, released its "2017 Best Cities for Families" study Tuesday based on data from the FBI, U.S. Census Bureau and U.S. Department of Education, and Philadelphia ranked pretty poorly. 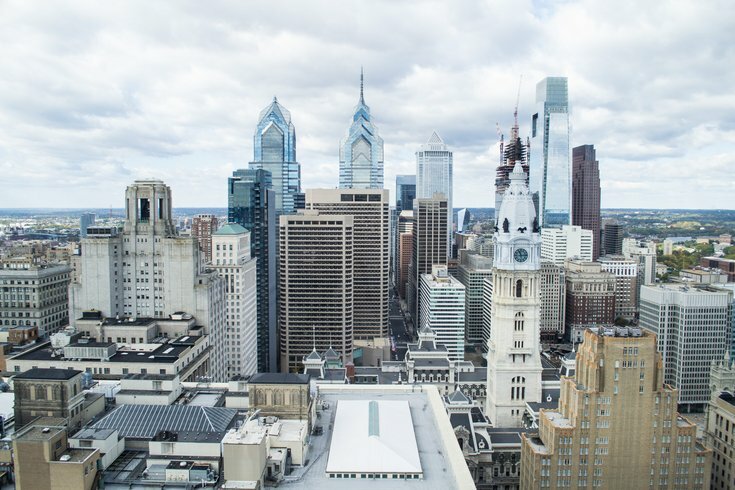 Out of more than 510 cities, Philadelphia found itself at No. 464 with an overall "D" ranking on the list. How? The website focused on four factors, including a safety score that was weighted at 35 percent, housing affordability weighted at 30 percent, education quality at 25 percent and child friendliness at 10 percent. Individually, Philly earned a safety score of 34.7, affordability score of 26.2, education score of 4.5 and child friendliness score of 31.2, giving it a total score of 24.25. Texas was home to some of the top cities for families. Flower Mound, Texas, ranked No. 1 with an overall score of 97.3, good for an "A+." Overall, even the safest cities in the United States did not earn top spots on the website's index. Check out the top 10 list below or the complete results from Apartment List here.